There is nothing like it!!! The views and wildlife are incredible!! The sites are private, all with views of Denali. The bear locker is huge! Bring as much as you are willing to lug out there! We were having Turkey patty melts with all the fixings while others were just eating pb&js. dont limit yourself! The bathrooms are pretty luxurious for being so remote. Rained quite a bit, so rain gear is a must. No showers, but running water for drinking sinks for washing dishes. Amazing overall!!! There will definitely be lots of mosquitos there, but this campground will probably be the best chance to see Denali up close. The long bus ride to the campground allows for animal sightings and different views of the mountain. Bring bug spray no matter what! This campground is worth the work of getting there (backpacking on a bus for two hours!). It isn’t convenient for sight seeing but is a well maintained place with great views. Be prepared before coming here! Camping at Wonder Lake in Denali National Park, close by the tallest peak in North America, seemed like the perfect way to end our trip to all 59 national parks. It was even more than we expected. Our first two days in the park (first day shuttling out to Wonder Lake, and second day exploring the Eielson area) were completely cloudy and rainy with no visibility of Denali. We were losing hope that we would ever see the mountain until we woke up on our third morning. We opened our tent at 4 a.m. to use the bathroom and saw Denali in all its glory. We hadn’t even known how amazing of a view we had from our tent until that final morning. There's not much that can compare to waking up in campground. Well worth the long drive in, the sites are large with plenty of space around you so that feel almost as if you're out there alone. A nice reminder that you aren't is the common area with picnic tables and large walk in bear storage room. There are ranger programs in the evening but by far the best part is soaking in the views. I absolutely love Denali and the view from top to bottom is incredible 😍 Best wildlife spotting and incredible landscape photography opportunities. Especially since the lighting changes so frequently because of the mountains creating their own weather. It was a beautiful place to camp. Misquotes were very thick and hungry. Bathrooms were clean and well stocked. A short walk to an amazing view of Denali. The bus ride out is a great place to see wildlife. The inside of the visitor center has great information on denali and different routes the climbers take to summit. I always enjoy my camping trips here! 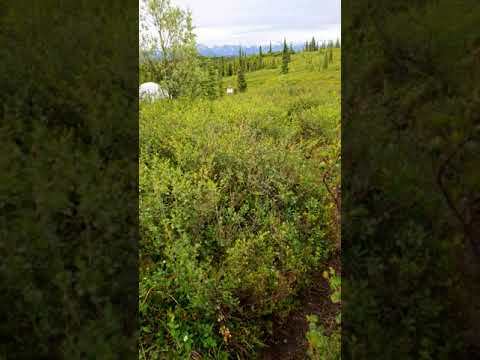 Wonder Lake campground is the furthest campground in Denali National Park. About 85 miles from the entrance. It is only accessible by bus which takes about 4.5 hours to get there but definitely worth it. The bus ride alone has some of the most spectacular scenery around. Not to mention you get views of North America's highest peak. The campground has everything you will need but be sure to use the HUGE bear storage room where everyone has to store their food both day and night. The bears are everywhere so use it. Overall, it's absolutely beautiful and if you plan to camp I highly recommend this one.